New version of Astah, 6.6 is coming in 3 days (22nd of March)! 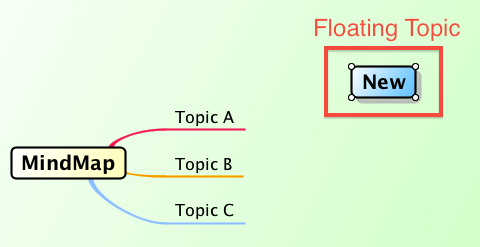 Astah 6.6 will increase flexibility and productivity on Mind Mapping by providing “Floating Topics” and more shortcut keys and customizability of your modeling with the implementation of the API. 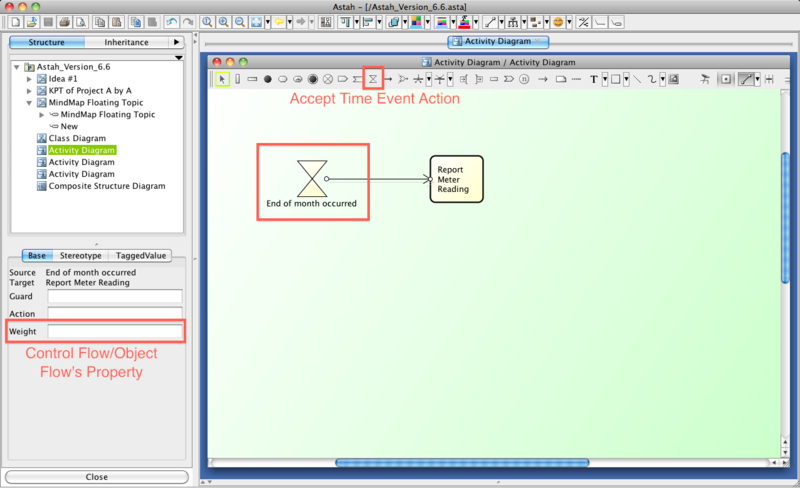 Furthermore including the free edition Astah Community, it will support Activity Diagrams UML 2.x models, and better noting for attributes/operations and instant diagram visibility settings will be available for Class diagrams and much more. Let me show you some of the new hot features with screenshots. In current version when you create new topics, you need to attach them to other topics. However you will no longer have to, which enables you to keep putting your ideas on canvas as many as they pop in your head without having to worry about where they belong to immediately and place them in the right branches later. New shortcut keys to create topics will help you creating your map even faster than ever. Also multiple Mind Maps will be available on one editor, which will be extremely helpful when you want to compare several Maps on a same canvas or integrating them to complete one Mind Map. 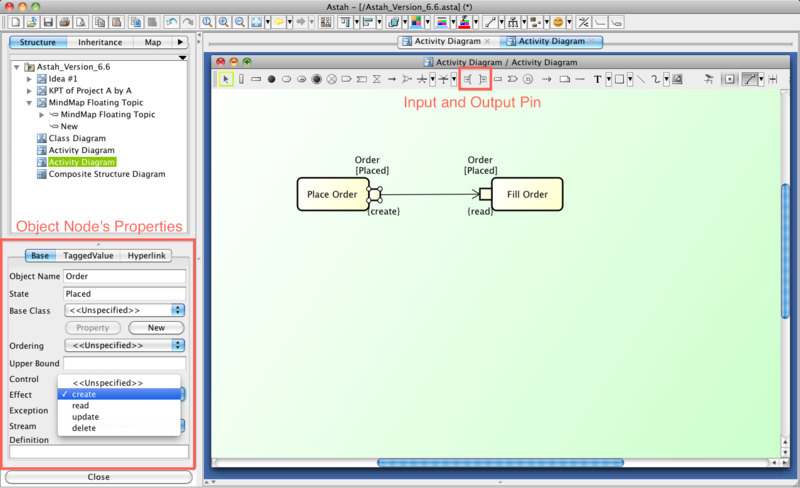 Support Input Pin, Output Pin, Accept Time Event Action, Weight for Control Flow/Object Flow and more. Notes will be attachable to each Attribute/Operation and also one Note can be attached to multiple of them for their own descriptions. API will be more open for Astah Community edition and handling Plug-ins will get much more handy with new Plug-in dialog. If you haven’t tried out any of our Plug-ins yet, check them out on Astah Plug-ins. On the same day of the version 6.6 release, some of our Plug-ins source code will be available which enables you to customize for your own use. – Instant visibility setting for diagrams and more. We are also revealing the new features on our Facebook page. Version 6.6 Release is on March 22nd. Don’t miss out and get them updated to the latest as it gets released. Download of new version will be available on here. This entry was posted in Releases, UML and tagged Activity Diagram, astah, atlassian, Class Diagram, confluence, dataflowdiagram, DFD, JIRA, Mind Map, mindmap, mindmapping, Plug-in, UML. Bookmark the permalink.